A little while ago I was talking to some people who had attended literacy training with Alan Peat (@alanpeat – http://www.alanpeat.com/) and they mentioned his book “Writing Exciting Sentences” and being an area I was interested in, I bought the book. Now I am not a literacy specialist, far from it. In fact, I like finding new ways to inspire my literacy teaching so that, in turn, I can inspire the writing of the children in my class. As with everything, the book arrived and went on the ‘to do ‘ pile for a few weeks until finally I sat down and flicked through it. I wish I had done so earlier. In the book there are 25 sentence types with a simple explanation and then some examples. That’s pretty much it. I think they are aimed more at year 6, so having Year 3/4 I decided some adaptation was needed. I took the ideas and wrote one of each sentence types on an A5 card, added examples and laminated it. The idea being that each week I would introduce a different sentence type and see how it helped. I’m not good at waiting. Rather than waiting for the cars to be laminated and given out to my tables, I just took the book to my literacy group and showed them one sentence. I challenged them to see what they could do and straight away the table next to them asked for a challenge too. So I gave them the “the more…the more” sentence type. For example: The more the sun beat down on me, the more I needed a drink. The more I explored the island, the more alone I felt. 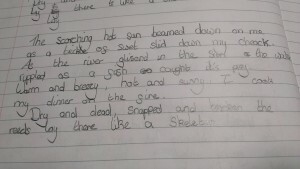 With no teaching and just a simple prompt, the children produced some wonderful sentences today. It made me really excited to see what would happen in a few weeks with some teaching input behind these ideas! I would definitely recommend getting the book and I have since found out that there are others worth looking at too. I ordered this book after reading about it on your twitter posts and have been introducing a new sentence type each day to my target year 6 class. Working really well so far! 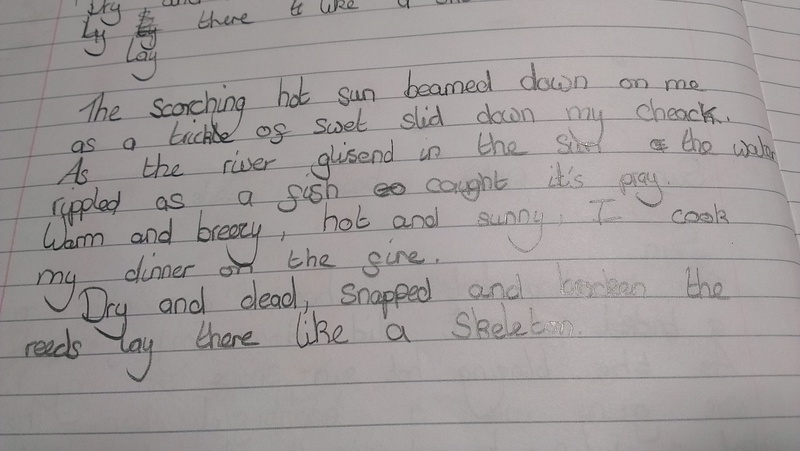 I love Alan Peat’s sentences, chn got it in the front cover of their books, homework books and I have already seen improvement in writing -was 2wks away with story-writing and the little time I spent with them when back, already seen how they start using it in their writing. Shared in a session with other Y5/Y4 teachers, they loved it as well. I’ve seen this book used really well from Y3 to Y6 so not exclusive to Y6. It really does help children write effectively with giving a scaffold for them to hang it off. 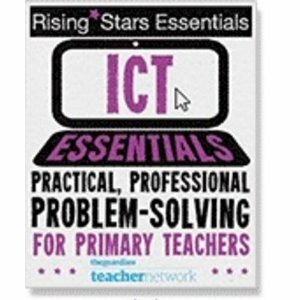 Fantastic book and ideas in it useful for all.